Our leadership programs provide life skills, resume-building experiences, and have proven to develop strong leaders. Participants gain valuable leadership experience in preparation for a variety of employment opportunities, including working at Circle R Ranch. Circle R’s leadership programs are designed to assist participants in the preparation to successfully manage many of life’s challenges. Our programs emphasize team building, communication, critical thinking, and personal growth. Provide a space where participants are inspired to explore who they are and who they want to be, not just as a leader, but as a person. Explore personal values and relationship to intentional actions. Inquire about leadership theory and put into practice. Develop areas such as responsibility, awareness, compassion, empathy, and more. Discover strategies for working with emotions in order to have resilient attitudes. Build connection with each other, themselves as individuals, and the natural world around them. FULL! Waitlist available through Online Registration or call us, 519-471-3799. End Date: Saturday, August 3, 2019 at 10am. Open and accepting environment allows participants to explore who they are and who they want to be. Leadership sessions introduce topics such as problem solving, inclusion, stress management, personality, trust, motivation, empathy, communication, ethics, values, and more. All core camp activities including western riding, archery, boating, swimming, gardening, crafts, teambuilding, string games, nature connection activities, and much more. Leadership sessions for LEP combine topics taught in LAP and LIT. LEP covers: problem solving, inclusion, stress management, trust, empathy, communication, behavior management, group dynamics, emotional intelligence, and more. Day time activities spent mostly with LEP group and evening time includes riding and activities with the rest of camp like wide games and campfires. Overlaps for two weeks with LIT so LEP and LIT campers get to know each other. End Date: Saturday, August 17, 2019 at 10am. LIT sessions cover topics like behavior management, group dynamics, conflict resolution, emotional intelligence, critical thinking, and much more. Camp Visit: LIT campers get to visit another summer camp to learn what it is like there (we’re working on details of this trip but will be 3 days and two nights at maximum). Shadow Week: for one week, each LIT “shadows” a counsellor. Breakfast to dinner is spent with the camper groups, learning what it’s like to be a counsellor. During this time, the counsellors are the main ones in charge (of safety, programming, discipline, etc.). This allows the LIT to observe and learn without the ultimate responsibility of being staff. LITs reconvene at dinner to debrief and enjoy quality time together for the rest of the day. 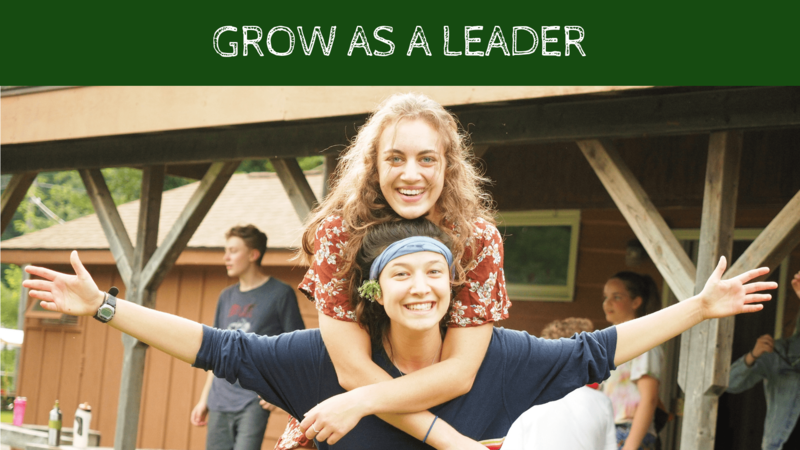 All core camp activities including western riding, archery, boating, swimming, gardening, crafts, team building, string games, nature connection activities, and more. In addition, time during these activities is spent teaching campers how to instruct these skills that they would need to know as staff. Day time activities spent mostly with LIT group and evening time includes riding and activities with the rest of camp like wide games and campfires. Overlaps for two weeks with LEP so LIT and LEP campers get to know each other. The Leadership Adventure Program (4 weeks) is for those done with grade 9 and works well to do before the Leaders in Training Program (4 weeks) when participants are done with grade 10. These programs complement each other quite nicely. It is recommended to do both but not necessary. It is not required to do any of our leadership programs if someone wants to work here. However, any person interested in summer staff is encouraged to get experience working with kids somehow. The Leadership Essentials Program (2 weeks) is like a condensed version of both LIT and LAP. We accept campers for that who are done either Grade 9 or 10. It is set up so participants would find value if they do LEP as well as LIT. Overall, each program has unique aspects that set them apart.